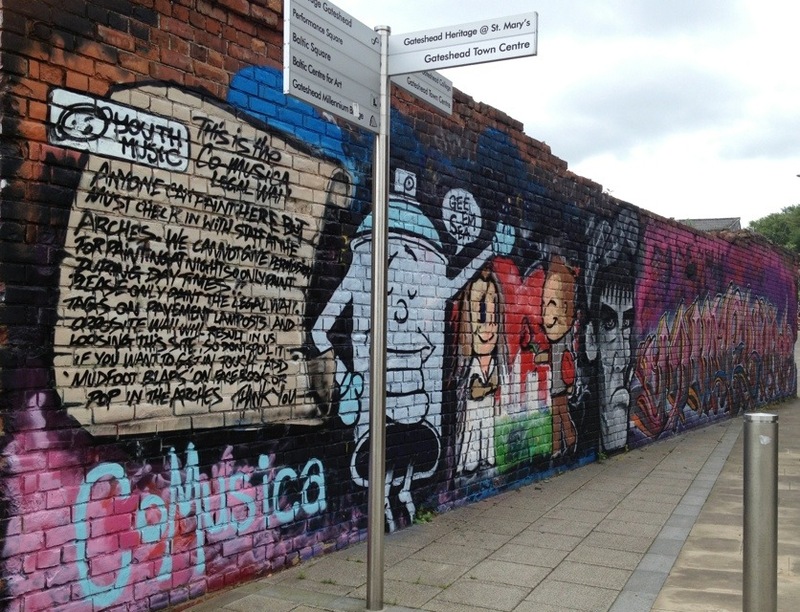 Located just behind The Sage, this is the CoMusica Legal Wall, a space for graffiti artists to legally share their work. The designs on the wall change frequently, but always seem to be high quality. This 1,710th post was filed under: Photo-a-day 2012, Gateshead.